the care of horses and ponies, riding and mounted sports. 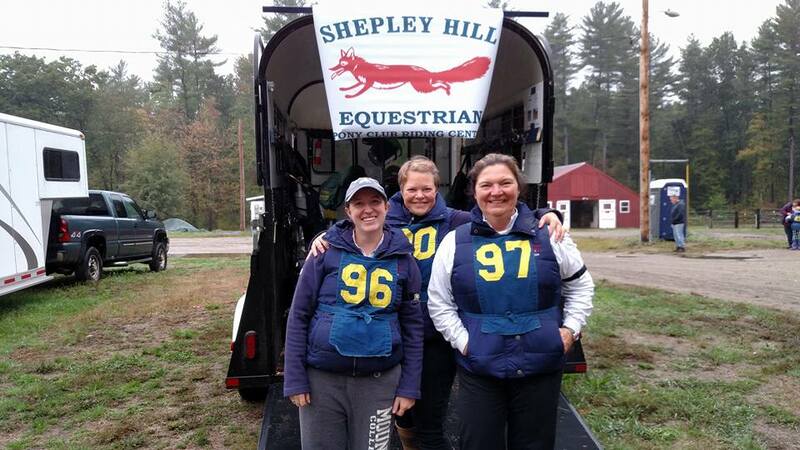 Founded in spring of 2016, the Shepley Hill USPC Riding Center has grown steadily in its first year. Its members have enjoyed learning the ropes of Pony Club and participating in a variety of regional rallies and events. They even have managed to take home a few ribbons! Pony Club mounted meetings are held on Monday evenings, Thursday evenings, and Saturday mornings. Our regular unmounted meetings are on Saturday mornings. We also have an active Horsemasters (adult) group that participates in both mounted and unmounted activities at the center and regional levels. The club also plans some HMX-specific unmounted meetings geared toward the adult horse-person. United States Pony Club, Inc. The United States Pony Club, Inc. is a national organization that fosters the development of young riders as knowledgeable, proficient riders and horse people. It develops mounted skills as well as horse management knowledge, creating riders that are well-rounded in their skills. Learn more about the United States Pony Club, Inc. Use the links below to access the website for the national organization and the Central New England Region.